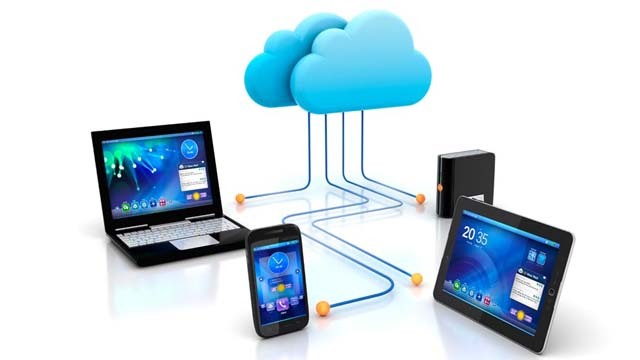 EGC has very advanced level Information Technology (IT) Division which looks after IT Infrastructure including hardware and software needs of clients, projects and the company. 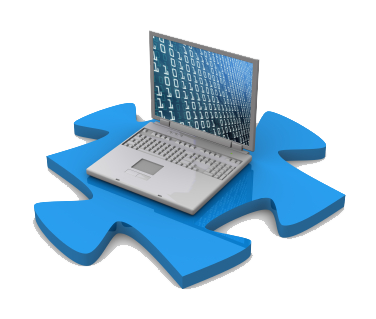 The services offered include planning, designing, development and implementation of systems and IT infrastructure. Main areas of expertise include Management Information System (MIS), Designing/development, programming, office automation, web development, business intelligence (BI) system, geographic information system (GIS) and CAD Management. Online Real-time Physical Progress Monitoring System. Online Real-time Financial Management System (FMS). Online Real-time Project Performance Management System (PPMS) under the framework set by ADB. for Rehabilitation of National Highways in Pakistan. Development of GIS Model for Muzaffargarh Solid Waste Management Project. 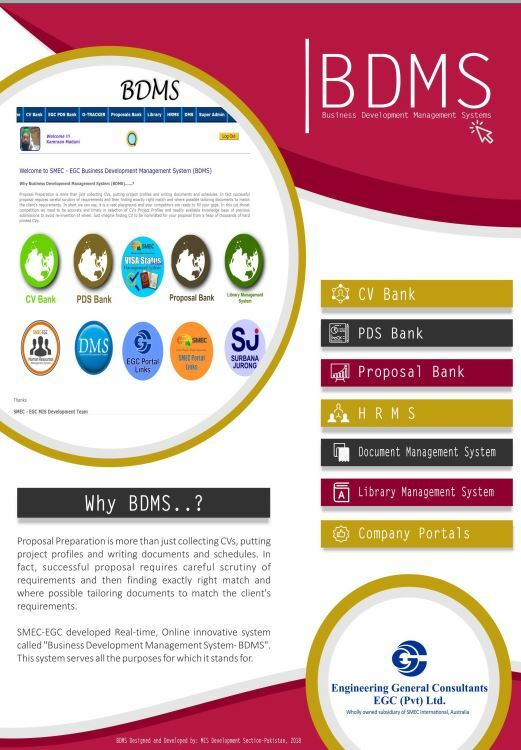 Development and Implementation of Web 2.0 based Business Development Management System (BDMS) comprising of CV Bank, PDS Bank & Proposals Data knowledge base and Proposals tracking as part of Proposal Bank for creating paperless. Environment for compilation and processing of business proposals to get new business. Providing Geographic Information System (GIS) expertise on different projects. 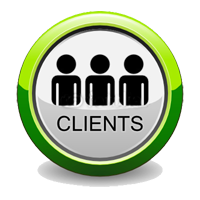 CAD Management – Surface modeling, countering, designing support, 3D modeling in different projects. Website Development for company, clients and projects.